That’s LSD as in long slow distance, you. Forgive me in advance, please. This isn’t going to be my most elegant post–it’s 8:30 at night and I’m still working, and I sadly did not get around to taking too many pictures. 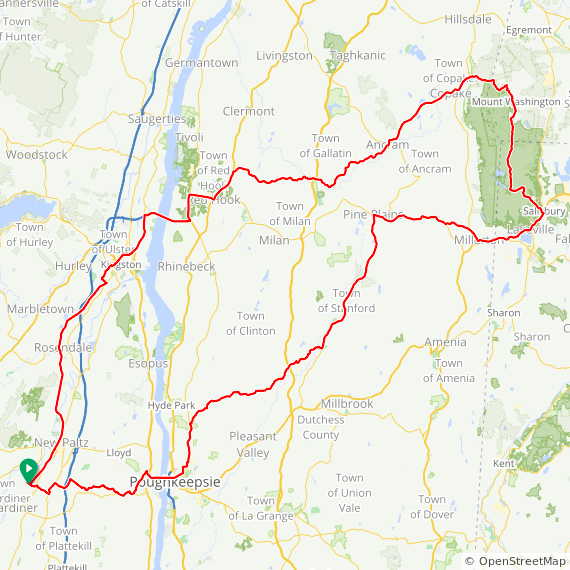 On Tuesday, two-thirds of your RTC bloggers–John S and I–went for a ride that crossed Dutchess County, entered Connecticut, and then headed north to Massachusetts and then back. 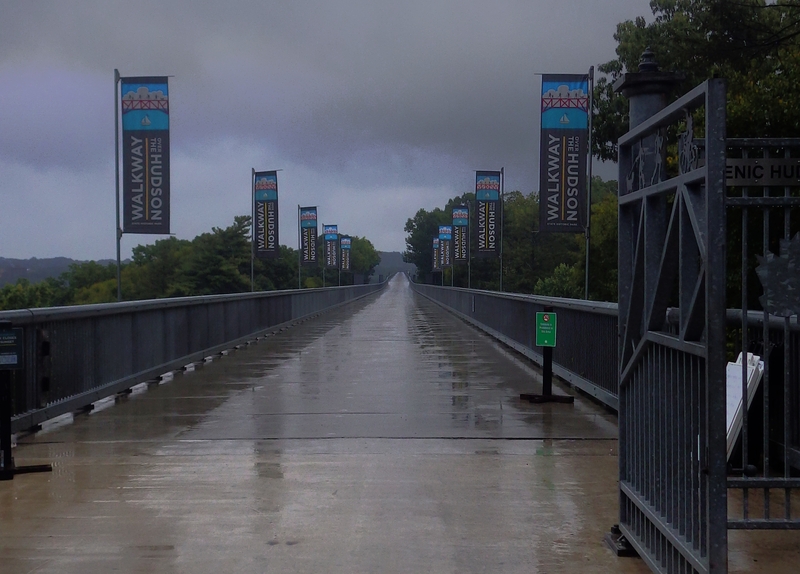 The day started out wet and cold–in fact, if I hadn’t been obligated to meet John at the pedestrian bridge across the Hudson, I might have stayed in bed. I initially left the house in just a light long-sleeve jersey, bib shorts, and a light rain jacket, but quickly turned around and put on a real coat, some legwarmers, and a lot of embrocation. A quick 15-mile trip from my house to the bridge, where John S showed up precisely on time. From there, we headed north and then across Dutchess toward Pine Plains. I vaguely recognized the termini of some of the roads we passed, and I realized later that they were part of the Brewster-New Hamburg classic. I crashed at precisely 0.5 mph while climbing when I encountered a deep patch of very soft sand. John had to be home much earlier than me, so he turned around and returned home via a different route at about mile 50. That left me to face the first real challenge of the day solo: WInchell Mountain Road. On the plus side, the day got progressively nicer over time. Now, I thought that was a challenge, but it was nothing compared to what was coming up. After crossing into Connecticut, a left turn led me onto Factory Road, which ultimately turns into Mt Riga road and then to Mt Washington Road. A source of some confusion because I hadn’t turned on my GPS and was looking for Mt Riga–and, of course, none of the roads were clearly marked. And then the real climbing began. I am not ashamed to say that at this point I was tired enough to get off my bike a few times. It was getting hot, and when I unzipped my sleeves, I found that my elbow was bleeding from my earlier crash. The rest of the ride was largely uneventful, which was great because I had a slowly growing contusion on my hip from my uncoordinated fall earlier. But not entirely uneventful: As far as I can tell, I took a wrong turn around mile 100. Because I’m stubborn and refused to retrace my route, I ended up navigating by cell phone back to Poughkeepsie, where I wandered around for more miles than I care to admit in the not-so-nice parts of town trying to find where the bike path crossed at grade so that I could get back across the Hudson. All in all, a successful, beautiful ride that ended up (with getting lost) at 138 miles. After all, you’re not really having fun until you’re so tired you don’t know how you’re going to make it home! Here’s the route, for those of you are interested, just keep in mind that I didn’t ride anything past mile 100 or so. Finally–I’m considering making Tuesdays my day for regular 100 mile+ rides. I’ll publish the routes in advance, and if you want to join me, let me know! 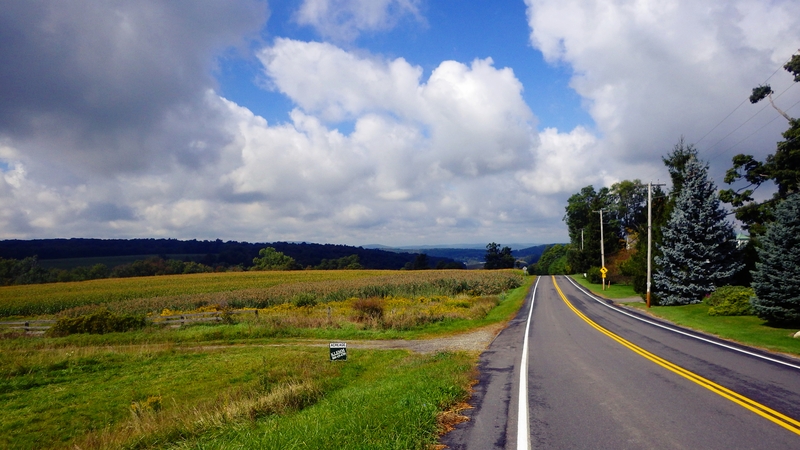 This entry was posted in bicycles, bicycles routes rides, New Paltz, rides, routes and tagged Catskills Cycling Bicycle Routes on September 18, 2014 by John Ferguson. Great riding with you, lovely roads, good company, win win win! Very Nice! I see you chose the paved road down out of the Town of Mt. Washington. I saw a Moose cross the road there last month. You did get to enjoy Turkey Hill from the west to east, another favorite local climb. Nice ride! My brother-in-law and I rode Mt Riga on Sunday, 9/14. It’s a great climb! Another fun climb is Sunset Rock road and if you think Mt Riga is steep, this is 4x steeper!